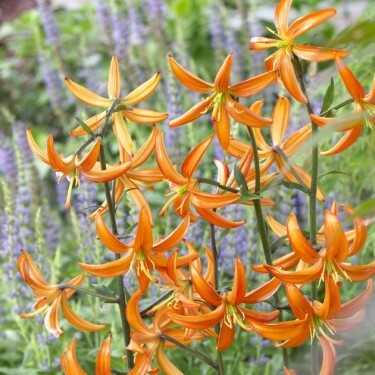 Orange Marmalade was created by blending all of the wonderful traits of Lilium martagon, Lilium hansonii and Lilium tsingtauense. Once established, it will shine like a bright orange jewel! 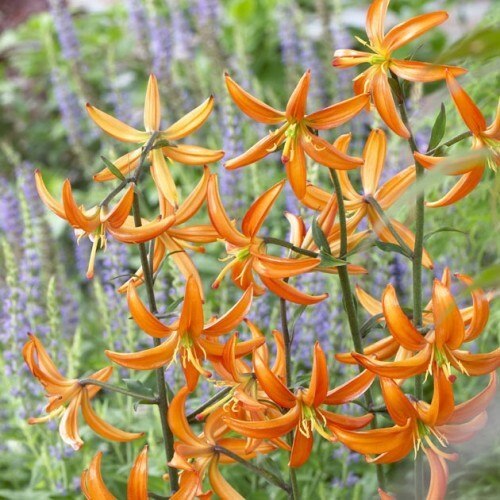 Orange Marmalade is a martagon lily and is a much sought after variety that produces many fragrant blossoms of Turk's-cap flowers. Martagon's grow quite tall and will fill your garden with a sweet smell. They are not too particular about soil quality but seem to thrive in a humus enriched environment. A little slow to start...patience is the key. Plant in a well drained location where it will not be disturbed and it will spread and produce more and larger flowers each year. Amazing!